We are based in the Department of Psychology at the University of Cape Town. We have also collaborated with the departments of Paediatrics, Psychiatry, and Molecular and Cell Biology, as well as the Child Guidance Clinic at UCT. Dr. Susan Malcolm-Smith is a senior lecturer at the Department of Psychology at UCT. She trained in neuropsychology, and received additional training in paediatric neuropsychology at the Red Cross Memorial Children’s Hospital from Avron Moss, a specialist paediatric neuropsychologist who in turn trained in the UK. Her research interests lie in the area of affective neuroscience, in particular the way emotion guides adaptive social functioning. She has supervised a number of projects exploring this theme in autism, via phenomena such as Theory of Mind, cradling bias and yawn contagion. If you are interested in doing research with Susan Malcolm-Smith please send her an email with your CV and a short proposal. 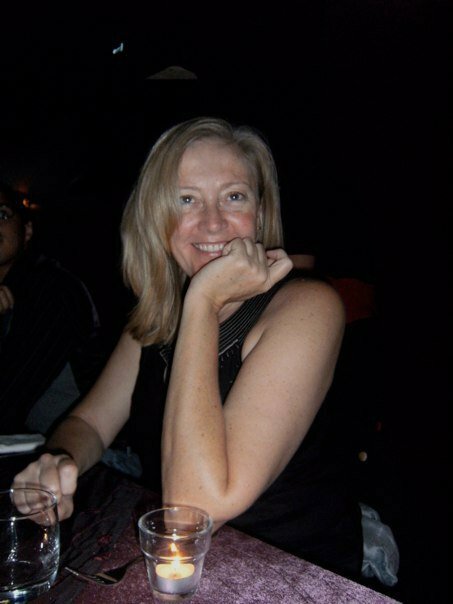 Her contact details can be found at http://www.psychology.uct.ac.za/psy/staff/seniorlecturers/susanmalcolmsmith. Dr. Kevin Thomas is an associate professor at the Department of Psychology at UCT. He has a PhD in clinical psychology, with a speciality in neuropsychology. Dr. Thomas received training in paediatric neuropsychology under Professor Eileen Fennell at the University of Florida (Gainesville, FL). He has been involved in autism research at UCT since arriving in Cape Town in 2005. Kevin Thomas is currently not accepting new students in autism research. Natalia Ing (Berghoff) is a PhD student in the Department of Psychology with training in neuropsychology. Her current research examines autism spectrum disorder service delivery within South Africa as well as the impact aspects of service delivery have on the quality of life of individuals with autism spectrum disorder and their family members. Her research aims to provide a greater understanding of the services provided (and those not provided) to individuals with autism spectrum disorder and their families. The findings from this study will provide key information regarding the shortfalls and limitations of the services provided to individuals with ASD in order to improve future medical care/services. Together with research associates Michelle Hoogenhout and Lea-Ann Pileggi, Natalia has been working with various autistic, neurotypical and mentally handicapped schools within the Western Cape. Her work has been presented at various national as well as two international conferences. Katie Hamilton is a PhD candidate in the Department of Psychology with training in Clinical Neuropsychology. Her research examines the biological bases of social deficits by exploring the roles of two candidate genes in Autism Spectrum Disorder. These genes influence opioid functioning (the mu-opioid receptor, OPRM1) and serotonin functioning (the serotonin transporter promoter length polymorphism, 5-HTTLPR), and Katie is specifically interested in their roles in social motivation and in Theory of Mind. The results from the foundational phase of this research have been presented at two conferences. Katie primarily conducts her research in Autism-specific and special needs schools in the Western Cape, although any child with Autism Spectrum Disorder is welcome to participate. In the short term, Katie aims to assist families who participate by sharing the results of their child’s performance (i.e. on the ADOS2 and tasks of social and cognitive functioning) with the family and appropriate professionals (selected by parents) to aid a better understanding of the child’s strength and potential difficulties. Katie’s research will ultimately lead to a better understanding of the biological mechanisms underlying Autism Spectrum Disorder, which should contribute to better screening, diagnostics, and interventions. Jessica has completed an undergraduate BSc degree as well as an Honours degree in Psychology at the University of Cape Town. As a postgraduate student, her initial research was part of a broader cross-cultural study on moral development and focused on empathy, social cognition and prosocial behaviour in neurotypical children. Jessica is presently working towards a Masters degree in Clinical Neuropsychology in the Department of Psychology and has expressed a special interest in Autism Spectrum Disorder (ASD). Her current research looks at the relationship between Theory of Mind (ToM) and moral decision-making within the context of ASD. The aim is to compare ASD and neurotypical children in terms of their moral decision-making behaviour. She is also interested in the role of Theory of Mind in moral decision-making. Jessica’s research specifically aims to provide insight into a possible mechanism underlying social impairment in Autism Spectrum Disorder. This may ultimately lead to better diagnosis and intervention strategies. 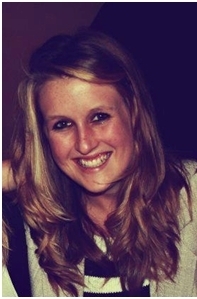 Kirsty has completed an undergraduate B. Com in Industrial Psychology, an Honours degree in Psychology and a Masters degree in Educational Psychology at the University of the Witwatersrand. She is registered with the Health Professions Council of South Africa (HPCSA). As a postgraduate student, her initial research explored the association between executive functioning and psychological wellbeing. She has also investigated the effect of a reading intervention on first and second language English medium learners. Kirsty is presently working towards a Masters degree in Clinical Neuropsychology in the Department of Psychology and she has a particular interest in Autism Spectrum Disorder (ASD). Her current research looks at the relationship between childhood attachment and parenting styles and the impact on social development in ASD. For the purpose of this study social development is defined as Theory of Mind (ToM) and Empathic Behaviours. The study will investigate the similarities and differences between children with and without ASD to neurotypical children. Kirsty’s research specifically aims to provide insight into a possible mechanism underlying social difficulties in ASD in hopes to better inform our understanding, diagnoses and intervention in ASD. Teneille has completed a BSc degree at the University of Pretoria and an Honours degree in Psychology at UCT where she initially researched the influence of the body on social emotional functioning. Currently, she is completing her Masters degree in Clinical Neuropsychology at UCT. Her current research is investigating the Neurocognitive and Psychological Profile of South African Children with Tuberous Sclerosis Complex (TSC), a multisystem genetic disorder associated with a wide spectrum of cognitive and psychological impairments, including Autism Spectrum Disorder. Teneille primarily conducts her research at Red Cross War Memorial Children’s hospital, with the support of Prof Jo Wilmshurst, Dr Birgit Schlegel and Dr Marie Wessels. The findings from this study aim to provide families with children with TSC insight into the potential cognitive and/or behavioural difficulties that affect them on a daily basis and in turn become better equipped to deal with their present impairments. Furthermore, the information obtained may aid the efforts of a larger investigation to form support groups and provide interventions or appropriate support through referrals to suitable doctors or therapists. Toni has completed her BSocSc (Psychology and Sociology) and BSocSc Honours (Psychology) degrees at the University of Cape Town. Her Honours project sought to determine the potential mediating effects of child temperament and parenting style on the relationship between social competence and empathic behaviours in children diagnosed with autism spectrum disorder (ASD). Toni is currently reading for a Master’s degree in Research Psychology, where she wants to determine the potential influence of child temperament, parenting style, and parental stress on the presence of empathic behaviours amongst a sample of children diagnosed with ASD. Toni is also interested in whether these relationships will be consistent in all children on the spectrum, or if there will be differences based on the child’s verbal abilities. 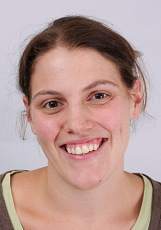 Michelle Hoogenhout’s research interests broadly lie within affective neuroscience, paediatric neuropsychology and autism. Her PhD research investigated whether empathy, distress and social cognition is associated with autonomic nervous system regulation in autism spectrum disorders. It is hoped that results of this and future projects will lead to earlier and more accurate diagnosis by identifying potential biological markers of risk. The results also lead the way towards new intervention techniques by pinpointing which facets of empathy are impaired in ASD, and suggesting physiological processes in which it may be possible to intervene. Michelle serves on the Student and Trainee Committee of the International Society for Autism Research. She is currently a postdoctoral fellow in the Department of Psychiatry at the University of Cape Town, where she is studying the genetics of developmental disorders. Some of her other research interests include the development of theory of mind in children with autism spectrum disorders, cultural factors affecting the assessment of autism, early intervention for autism, and the phenomenon of yawn contagion. 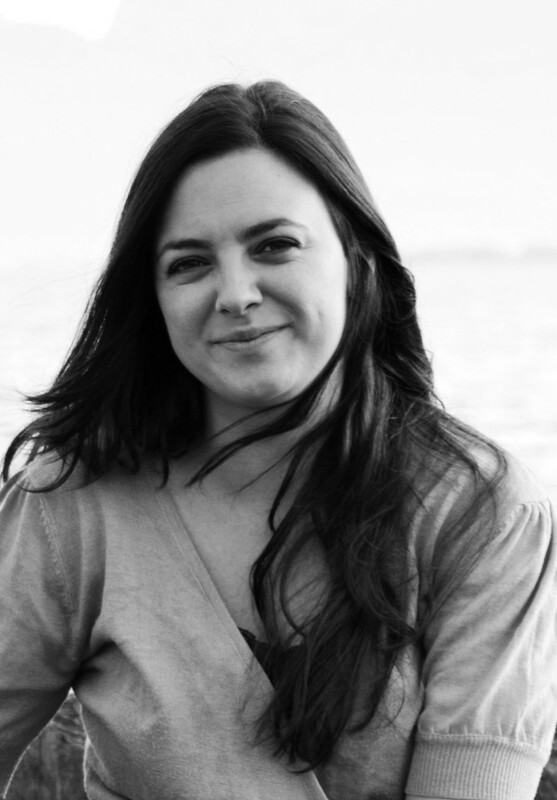 Lea-Ann Pileggi is a doctoral student in the UCT Department of Psychology. Her Masters research focused on empathy and empathic behaviour in children with autism spectrum disorder. Specifically, she investigated cradling bias – the fact that all individuals tend to cradle an infant to the left of their body when soothing or putting the infant to sleep. Scientist think that this leftward bias in cradling is related to empathy and social attachment, although the association is not yet well understood. 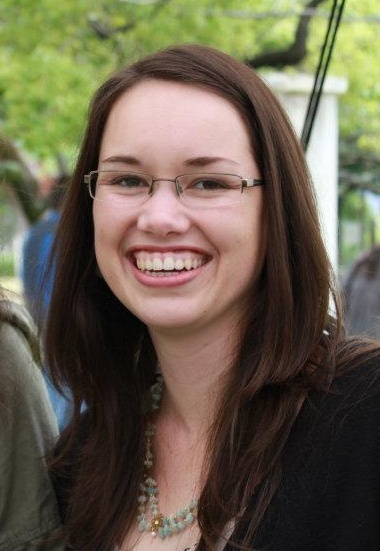 Lesia Smith completed her undergraduate degree in Psychology at the University of Stellenbosch. She then obtained some clinical experience as an Applied Behavioural Analysis therapist, working with children with different neurodevelopmental disorders. She completed her MA Clinical Neuropsychology degree at the University of Cape Town, focusing her research on the diagnosis of Autism Spectrum Disorder in the Western Cape. Marina Stephens completed her Master’s degree in the Department of Psychology. Her research investigated the validity of the Modified Checklist for Autism in Toddlers (M-CHAT) in the Western Cape. The M-CHAT is a screening tool which is administered in a questionnaire format to parents with young children. It can help to identify very young children that are at high risk for ASD (18 months- 4 years 11 months). Faye Bozalek is a previous Master’s student at the Department of Psychology. Her Master’s thesis investigated the viability of using adapted English, Xhosa and Afrikaans versions of the Social Communication Questionnaire (SCQ), an early screening device for children who may have ASD, in the Western Cape. The screening device could result in quicker and earlier detection of ASD. Hi there, I have completed my honours degree in Psychology and wanted to know if you needed any research assistant or intern helping with your Autism research. I have had first handed experience with an autistic child- a nephew of mine… and have watched him improve through many methods we have tried in the USA and Jeddah- Saudi Arabia. Please let me know if there is any opening for me to join your team. I am finished with my honors in psychology. My research paper was on the symptoms experienced by autistic children presently. I used the social network to obtain my data. I would like to assist any one of you with data collection. My future plan is to continue in the field of Autism Research. My next step is to complete my masters. Thank you in anticipation. Hi Grace, lovely to hear from you! I will send you an email and then we can discus our projects and how you can become involved. I have completed my honours in psychology and I am currently working as a special needs teacher. I am interested in possibly doing further research into autism, specifically looking at ways to develop social skills and empathy. Who would be the best person to speak to? Would like to reveive uodated info on research as my son of 15 is Aspergers. Hey guys, I am currently registered for a Masters in psychological research consultation at UNISA (Pretoria) and my study in on the experiences of parents raising autistic children. I would really love some connection with people in my field of interest which is people diagnosed with Autism and their families. I completed my MEd in 2010 ‘A case study on the impact of sensory processing difficulties on the learning and development of two Asperger’s Syndrome learners in Grade R’. (Published). Currently I am completing my DEd ‘Cognitive and social functioning growth trajectories of three learners with ASD from Grades 3 to 4’. I am hoping to graduate the end of 2016. I am looking for employment for next year (2016) and would like to work in the field involving working with children on the higher spectrum of Autism (Asperger’s Syndrome). Alternatively I would like to join a team like yourselves to do further research involving ASD children psychology, linked with Education. If a position becomes available, would you please contact me, so I could apply? I have applied at various remedial and special needs schools, but have not yet been successful. We are a research team, so we do not currently have any work positions available, but if you are interested in continuing your studies in psychology or a related area, please do contact us! Dear Felicity, if you are in the Cape Town area, you can contact Autism Western Cape (http://www.autismwesterncape.org.za/), or visit their offices in Mowbray. There are unfortunately few adult facilites available, but they may be able to suggest possible facilities and assist with intervention and support. I hope you can assist with my request.My daughter, Tylah Alexander, is interested in studying neuropsychology and would like to know if she can do her Job-shadowing at your facility.She is currently a Grade 11 learner at Harold Cressy High School in Cape Town.This needs to take place on the 15th & 16th of February 2017.Please advise if you can assist. Hi Vanessa, we would love to help but I’m afraid we won’t be able to assist at this time. The University isn’t fully open until March, and our current active studies don’t allow for shadowing because we must retain the patient confidentiality.